Standing outside her battle-scarred home in northern Sri Lanka, Thangeswary Karuppaiyah dreams of one day rebuilding it. “I hope it’s soon. That’s what we are waiting for,” said the 55-year-old grandmother. She has been living in a “transitional shelter” a few metres from her old home for the past three years. 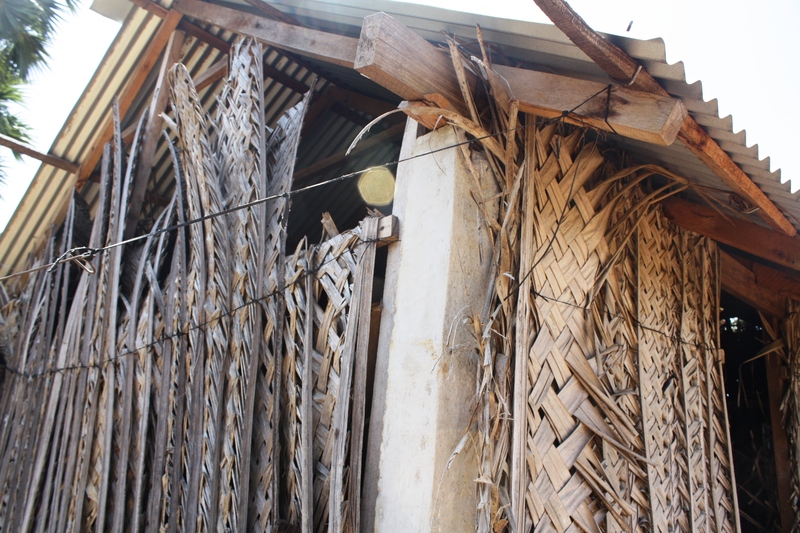 Made of tin sheeting, coconut leaves and tarpaulins, it was put up by her family (thanks to government and international aid) following her return in 2009, and was designed to last two years - time enough to rebuild her old house, say aid workers. “People have been in transitional shelter for a long time, in many cases three years... With the rainy season starting, things are going to become tough for those people,” Fontini Rantsiou, head of the northern sub-office of the UN Office for the Coordination of Humanitarian Affairs (OCHA), told IRIN. Thousands of former IDPs are even less fortunate than Thangeswary, have never received any assistance, and live in makeshift shacks made of plastic sheeting and anything else they can get hold of. More than three years after Sri Lanka’s decades-long war came to an end and the return of nearly 470,000 internally displaced persons (IDPs) to the north, thousands of people remain in flimsy shelters, say UN sources. There is insufficient data to illustrate the severity of the problem, as the government has never endorsed a comprehensive needs assessment suggested by aid organizations in mid-2012, said a report by the International Displacement Monitoring Centre (IDMC) published on 31 October. As a result, humanitarian organizations have only managed to collect limited information. Across Sri Lanka's former northern war zone (locally known as the Vanni), only 26 percent of IDP returnee families have received transitional shelter assistance, the report said, citing inputs from shelter agencies, including the UN Refugee Agency (UNHCR). Of the more than 100,000 families in need of transitional shelter assistance in four northern districts (Vavuniya, Mullaitvu, Kilinochchi, and Manner), just 26,000 received assistance, leaving an estimated theoretical gap of around 74,000, according to UNHCR October figures. Moreover, in at least three of the villages in Mullaitivu District which opened up for returns between July and September 2012, no commitments have been made to provide any transitional shelters at all, the IDMC report said, with only half the requirement for transitional shelters being met in Kilinochchi District. Many of those affected have no choice but to live in makeshift shelters they have constructed themselves - well below internationally accepted Sphere standards. Meanwhile, international funding for humanitarian and development activities in Sri Lanka is drying up, largely because the World Bank now classifies the island nation as a middle-income country at peace, though government restrictions on assessments are preventing an adequate response, the IDMC report said. A further obstacle is that many agencies and donors are reluctant to fund additional transitional shelter work given the high expectation of a commitment by donors to construct more than 75,000 permanent houses in the north - a project which could take years to complete. According to OCHA, donors and the government are currently committed to supporting the building and repair of more than 35,000 houses (excluding Indian government plans to build 49,000 houses) against total needs in excess of 100,000.